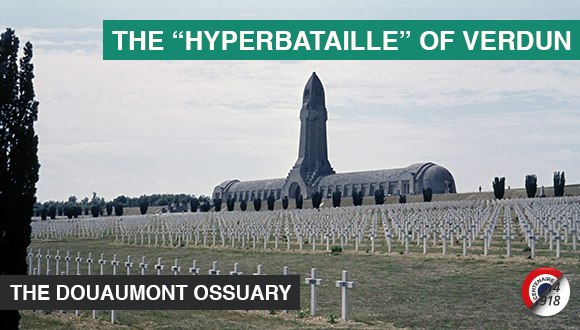 The Douaumont Ossuary is one of the most powerful war memorials in France. The Ossuary was built on the initiative of one man: Marie André Charles Ginisty, Bishop of Verdun. 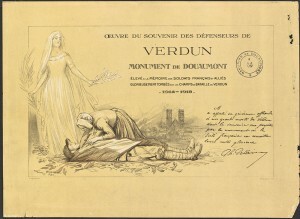 Monseigneur Ginisty requested that a memorial monument and a tower be erected at Verdun in memory of the countless unidentified soldiers who died on the battlefield so that bereaved relatives and friends could come and pay their last respects. 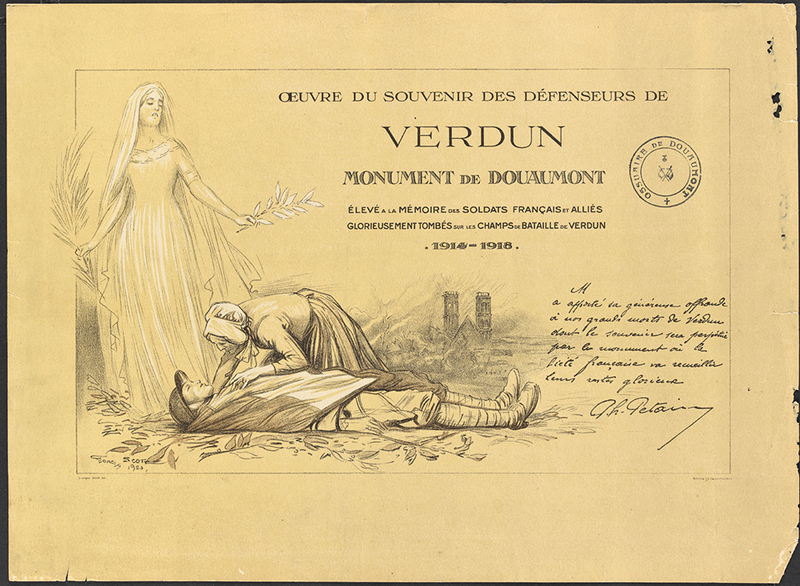 On 22 August 1920, the foundation stone was laid by Monseigneur Charles Ginisty and Marshal Philippe Pétain, Honorary President of the Ossuary Committee. In order to finance the construction of the Ossuary, a committee convened by Monseigneur Ginisty and veterans associations promoted the project. 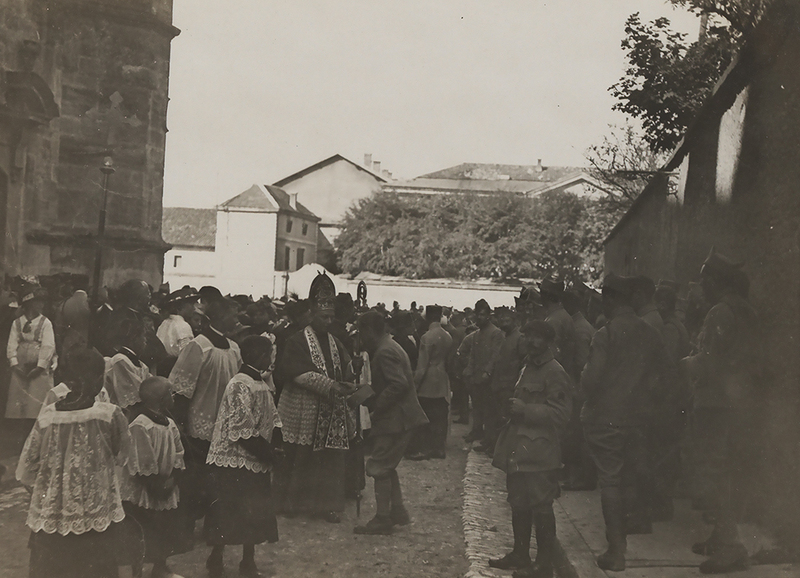 Over fifteen million francs were collected from 100 French, foreign cities and private donators through massive funding. The state contributed to one million francs for the completion of the construction works. The bones were transferred from a temporary ossuary in 1927. 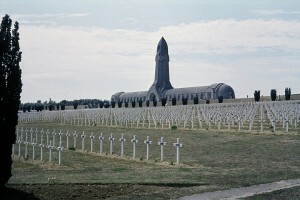 The ossuary was officially inaugurated on 7 August 1932 by President of France, Monsieur Albert Lebrun during a ceremony attended by a huge crowd of veterans and families of victims of war. This impressive architectural statement is the work of French architects Léon Azéma, Max Edrei and Jacques Hardy. The Ossuary is 137 metres long. It consists of a cloister of 42 inside alcoves and apses containing 46 tombs, each representing one of the 52 main sectors of the battlefield and containing the remains of more than 130,000 unknown French and German soldiers who lost their lives on the field of honour. Above the central entrance rises to 46 meters a lantern tower, the “Lantern of the Dead” designed to illuminate the surrounding battlefield, shining like a searchlight at night.